"Fantastic . . . an honest, beautifully detailed book and an entertaining read." Aisling, a goddess in human form, was born to rule both domains and--with her twin, Anya--unite the Celts with the powerful faeries of the Middle Kingdom. But within medieval Ireland interests are divided, and far from its shores greater forces are mustering. Both England and Rome have a stake in driving magic from the Emerald Isle. Jordan, the Vatican commander tasked with vanquishing the remnants of otherworldly creatures from a disenchanted Europe, has built a career on such plots. But increasingly he finds himself torn between duty and his desire to understand the magic that has been forbidden. As kings prepare, exorcists gather, and divisions widen between the warring clans of Ireland, Aisling and Jordan must come to terms with powers given and withheld, while a world that can still foster magic hangs in the balance. Loyalties are tested, betrayals sown, and the coming war will have repercussions that ripple centuries later, in today's world--and in particular for a young graduate student named Sara Hill. 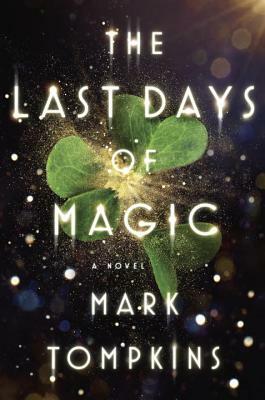 The Last Days of Magic introduces us to unforgettable characters who grapple with quests for power, human frailty, and the longing for knowledge that has been made taboo. Mark Tompkins has crafted a remarkable tale--a feat of world-building that poses astonishing and resonant answers to epic questions. Mark Tompkins is the founder of the Aspen Writers' Network and serves on the board of Aspen Words, a program of the Aspen Institute. Born in Texas of Irish ancestry, Tompkins lives in Boston, Houston, and Aspen. The Last Days of Magic is his first novel.